Erected 1932 by the Society of the Cincinnati in the State of Connecticut. Location. 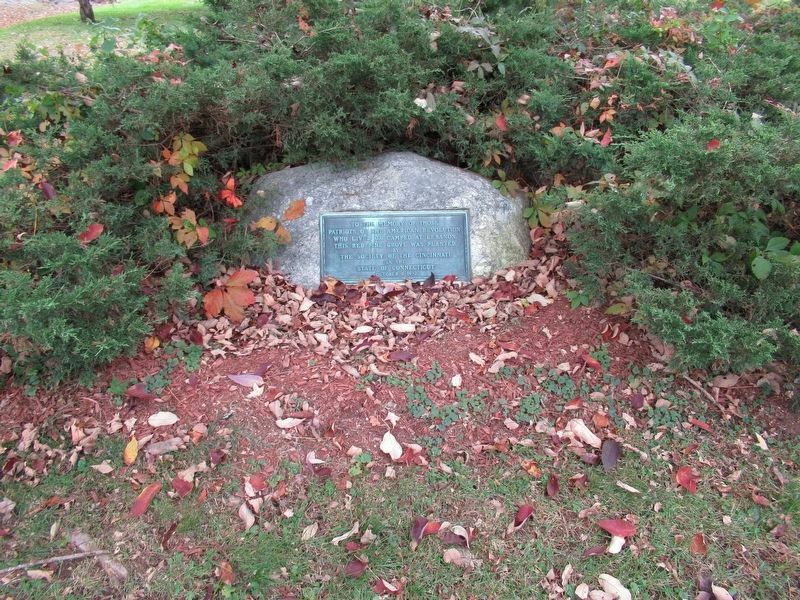 41° 38.748′ N, 72° 13.396′ W. Marker is in Lebanon, Connecticut, in New London County. Marker is at the intersection of Norwich-Hartford Turnpike and West Town Street, on the right when traveling south on Norwich-Hartford Turnpike. Touch for map. Located at the north end of the Lebanon Green. 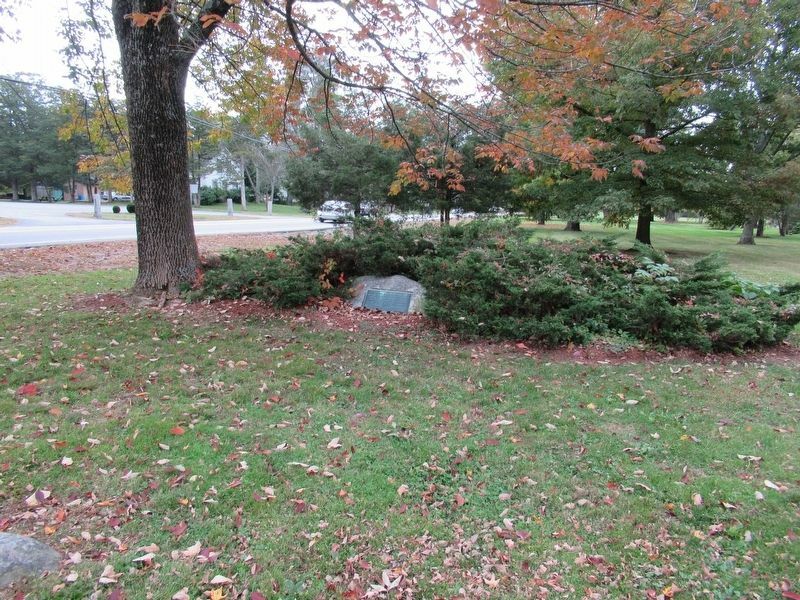 Marker is in this post office area: Lebanon CT 06249, United States of America. Touch for directions. (approx. 0.8 miles away); Washington-Rochambeau Revolutionary Route (approx. 0.8 miles away); Liberty Hill Church Bell (approx. 0.8 miles away); Old Lebanon Meeting House (approx. 0.9 miles away). Touch for a list and map of all markers in Lebanon. More. 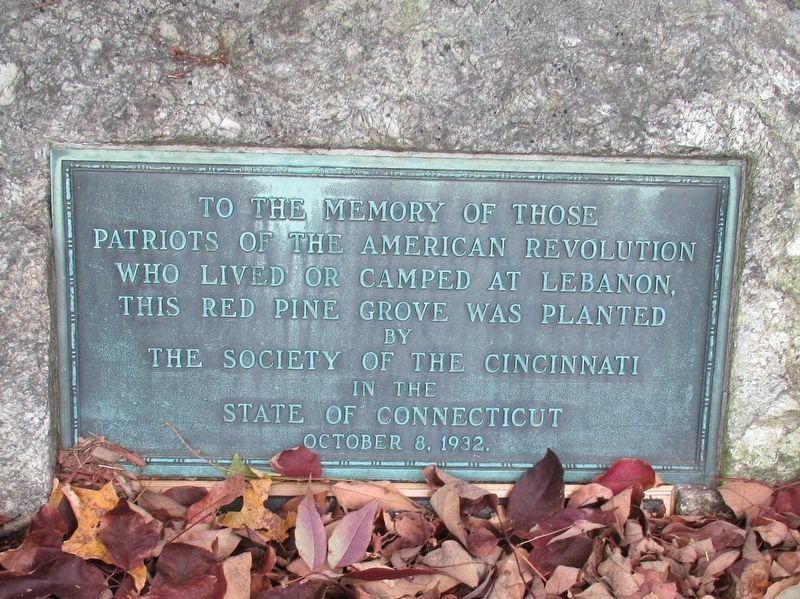 Search the internet for Lebanon Revolutionary War Patriots. Credits. This page was last revised on October 22, 2016. This page originally submitted on October 22, 2016, by Michael Herrick of Southbury, Connecticut. This page has been viewed 217 times since then and 4 times this year. Photos: 1, 2, 3. submitted on October 22, 2016, by Michael Herrick of Southbury, Connecticut.